Learn how to get the most out of your currency with this Norway Money Transfer Guide. It makes no difference if you want to transfer money to Norway or if you are a Norwegian resident who wants to send money abroad, our listed Foreign Exchange companies have your needs covered. Min. Transfer: £ / €1,000. kr 350,00 International Transfer Fee + Currency Exchange Fee. More Than Double The Cost Of Commercial FX. Currencies Direct is a company that will offer a zero fee money transfer to one of their 100+ destinations. They work with more than 40 currencies, and because Euro is used by so many countries, you can understand that they have worldwide coverage. World First offers the same as the above two companies. The only big difference is the mobile App which is great and with it, you can make the whole system even easier and on the go. Check out their website for more information or to get a free quote. Currencies: All of the companies previously recommended by us have access to a huge number of currencies with which they work every day. So you can easily transfer money to countries like Italy, Germany, the Netherlands, Switzerland, Austria, Hong Kong, France and Greece. A thing to remember is that the benefits with these companies are bigger as the transferred amount gets bigger. So if you plan to regularly send small amounts to other countries, we would recommend using TransferWise because they have fixed spreads. This means that they charge small and fixed fees for every transfer, no matter the amount. Norwegians enjoy the second-highest GDP per-capita among European countries after Luxembourg and it ranks second-wealthiest country in the world. The egalitarian values of Norwegian society have kept the difference between a low paid worker and a big CEO as small as possible. The country obtained a high standard of living in part by having a large number of natural resources like petroleum, hydropower, fish, forests and minerals. Oil production has been central to the Norwegian economy since the 1970s, with dominating state ownership. Being such a rich in resources country, Norway is exporting many goods and large quantities. For example, the country is the world’s 2nd-largest exporter of fish and 6th-largest arms exporter in the world. But the main resources that made possible the latest economic boom are oil and gas, which makes for almost 50% of all exports and 20% of the country’s GDP. Norway is the fifth-largest oil exporter and third-largest gas exporter in the world. This can also be made possible by another natural resource – water. Hydroelectric plants generate almost 98% of the country’s electric power, more than any other country in the world. Thinking Of Relocating To Norway? If you consider moving into Norway and live there as an expat, you may find the following information helpful. Go Green: Norway now has 32,000 electric cars which is the highest rate per capita in the whole world. Affordable Healthcare: Norway’s healthcare is ranked at number 11 in the world. Low Crime Rate: There are only about 4,000 prisoners in Norway. Weather: Rain, wind and snow. A lot of snow. Expensive: The price is pretty high for everything, from gas to dining out. Language: Pretty hard to learn the language if you are not from the Nordic part of Europe. Popular cities for business and real estate transactions in Norway are: Oslo, Bergen, Trondheim, Stavanger, Drammen, Fredrikstad, Kristiansand, Sandnes, Tromsø and Sarpsborg. FX companies are in the business of trading foreign currencies. As such, they know all the tricks of the trade to ensure that they earned the highest return whenever they convert money. It is this that allows these companies to offer their customers low or no-fee transfers when they need to send money overseas and, because many FX companies deal primarily online or by phone, it enables their customers to do the same. Get a confirmation from the company (usually the same dealer that gave you the quote) that the transaction is completed. Send Money to Norway: Companies that provide international money transfers to Norway. Send Money from Norway: Companies that take on Norwegian Customers. Norway has no regulations or currency controls, allowing for money to move freely and easily exchanged the krone (NOK) with worldwide currencies. 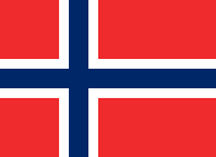 Norges Bank (the central bank of Norway) oversees payment systems to ensure the stability of their financial sector. The Financial Supervisory Authority of Norway (Finanstilsynet) provides oversight of the financial market and monitors the performance of the financial sector. Norway has no restrictions on money transfers across borders and it is very open to foreign investments. Transporting more than NOK 25,000 of hard currency must be declared at the customs authorities. Norwegian residents are taxed on any foreign income. Non-residents are taxed on any income originating in Norway.